can we please let the movie come out at least? - x1 one-click to Canada please! 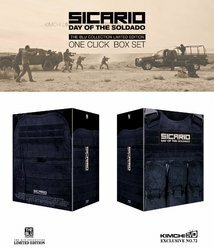 <Hell or High Water> 4K Blu-ray was canceled due to too small a quantity as a result of domestic demand survey. Replaces <Hell or High Water> Creative Edition. 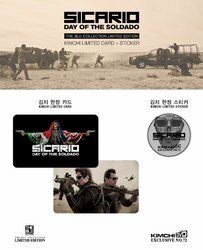 <Sicario: Day of Soldado> is preparing a 4K Blu-ray steelbook (we plan to release a BD steelbook at the same time as the Atomic Blonde). 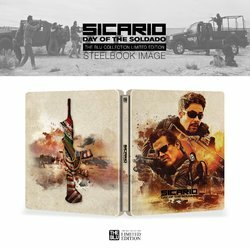 We are planning a January pre-order. The Steebook design will be released in December. Curious to see the design! Don't quote me but I think PA said they weren't going to be able to do part 2. Something to do with rights? Dang that would be sad if true. Their glow cover and yellow (skull) covers were gorgeous for the 1st film! Will have to think about this one. I've got the GITD PA version of the first film. Soldado was, for me, average at best. Great actioner flick that ventured off into the far fetched. Which is fine, but the movie lacks the beauty and subtle dread of Dennis' foray. That front cover looks really good in spite of the dumb title.